Next meeting for us is BioEurope in Copehhagen in early November. Finished several China deals recently! Hopefully will have more than our usual 5 deals signed before the year is done! Cooley, the big law firm, keeps statistics on VC fund raising it is involved in, 65-185 per year. They show that median pre-money valuation for Life Science series A rounds are UP! 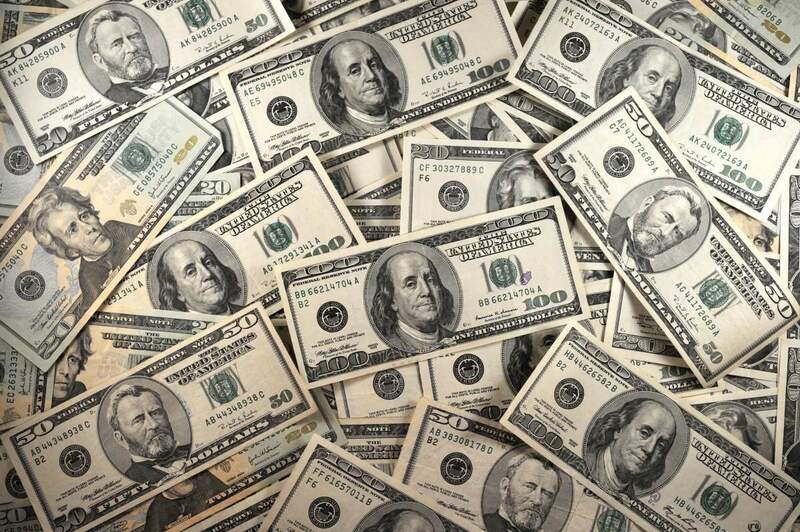 For all rounds (not just series A rounds), tranching of the money is down too. Bruce notes that tranching still is dominant in series A rounds. The article has other figures also showing preferences and other things favoring investors are also down. These are good times for young biotechs! UBS issued a very nice report on the biotech revolution in China. Lots of good graphs and interviews. I thought a few figures were particularly interesting. I knew that the growth rate of China's market meant that China is viewed as an important part of a global deal, but the 16% compound annual growth rate for biologics (below) is impressive. Another figure (not shown here) reminded us that the typical product launch has lagged the first launch elsewhere by 4 years or more, but that is changing with a number of recent examples only 2 years behind. The huge genomics base represents a real opportunity both for biomarker discovery and for understanding diseases, especially those that are more common in China than elsewhere, such as gastric cancer. One area where China is leading is in the number of clinical trials for CART, the immune cell treatment for cancer. We've already seen a number of impressive data sets coming from China. Check out the rest of the report! Three quarters of the way through 2018, let’s have a look at how this year’s investing inflows compare to 2017. Charts and tables were generated from GlobalData utilizing only those deals where terms were disclosed. I wanted to take a broad look across the big “pools” of investment to see if there was anything to glean about the macro investment climate. There are some interesting differences from last year to this. “Debt Offerings” – the sale of debt instruments (i.e. notes, debentures, etc.) for funding corporate operations and objectives. Overall, total investment is down from last year by about 5.5%. The culprits here are a big private equity deal that took place in Q2 2017 but, more interestingly, a noticeable drop in Equity Offerings during 2018. With 3 months left to go in 2018, securities offered to the public are down over 27% from last year. Is the window closing…? 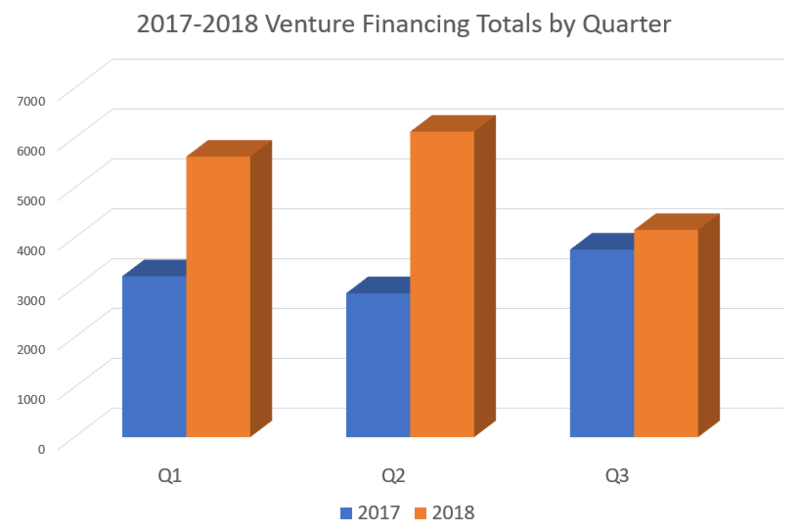 On the flip side, venture financings are up considerably with a more than 60% increase year over year from $9.9B in 2017 to a rockin’ $15.9B in 2018. That sort of increase give one pause to wonder… can it be sustained? The chart below illustrates just how significant the uptick in venture financing has been. Some of this can be chalked up to the huge amounts of cash that have been raised in recent years by VCs and that is now looking to be deployed in big ways. There are also the cross-border investment flows from China which we have chronicled in previous issues of Pullan’s Pieces. And then there is debt. Reading through the announcement headlines you’ll find several the big pharma companies issuing huge amounts of debt against these historically still-low interest rates with maturity dates extending out to 10 years. Even with the massive repatriation of profits we have seen this year, it appears to still make sense to acquire capital at these low rates. 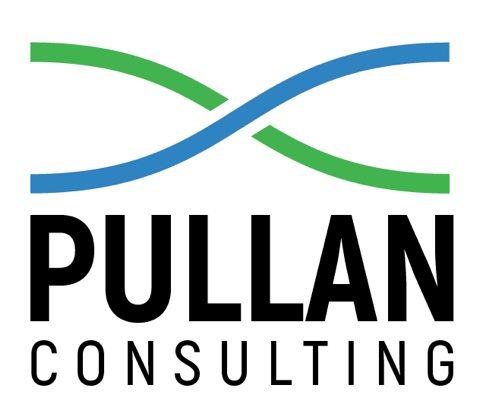 At Pullan Consulting, we help preclinical to Phase 2 (occasionally later) companies prepare themselves for partnering and financing efforts. Available venture capital makes advantageous partnering easier too. If you’d like to chat about your company and what the capital investment landscape might look like for your opportunity, give us a call or send us an email – we love talking with folks about the exciting science they’re working on!